As the 2015-2016 school year comes to end, we here at Career Services would like to dedicate a special blog post to the student staff who will not be returning to work with us in the upcoming year. The Career Assistants who worked with us over the past few years have made a vital impact on the growth and success of the Career Services department, and we want to say thanks! 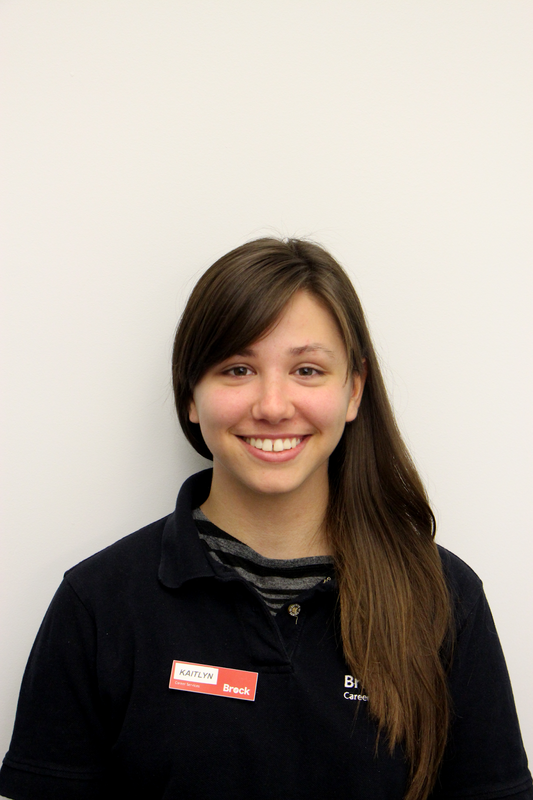 Alysha has recently completed her fourth year in the Concurrent Education program. Her friendly smile and enthusiasm towards her role has made her an exceptional addition to the Career Services family. She is always willing to help out whenever needed, and go above and beyond our expectations. Not to mention, there is no one better to go to for great vegan recipes! 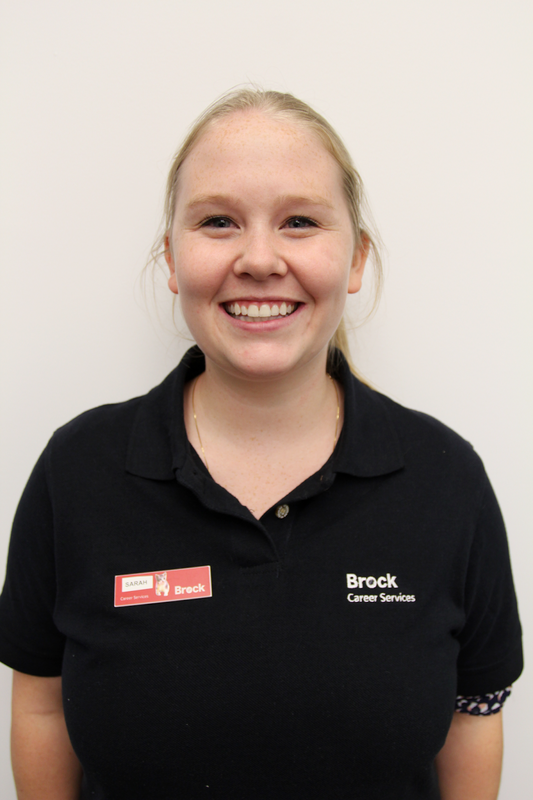 After three years of working in the Centre, Alysha will be moving on to attend teachers college in the Fall of 2016 at Brock! We wish her all the best in her future endeavors. We're sad to see this great individual leave us, but we know he will go on to accomplish great things! After four years working towards his Sport Management degree, Anthony will be going on to work for the Hamilton Tiger Cats as part of the SPMA Internship program! He started with us back in September of 2013 and is a great person to look to for advice. More importantly, who will set up our fantasy hockey leagues now?!?! All jokes aside, we can't wait to see the many great things he will be accomplishing. Best of luck Anthony! If there is one thing you can expect to see when you walk into the Centre, it will likely be Sarah sitting at the front desk with a great attitude, welcoming you in. 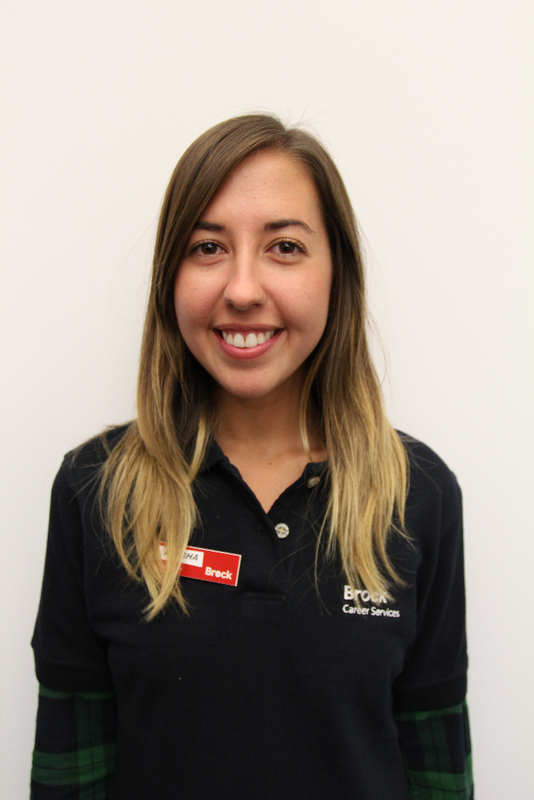 Sarah has been with us for two years now and is finishing up her degree in Psychology. She will be continuing her studies with her MA in psychology at Wilfrid Laurier University in the Fall of 2016. We wish her the best as she completes her Masters! Venturing from Hamilton every time he has a shift, there is no better way to show how amazing Career Services is than by looking at Mike's dedication to us! 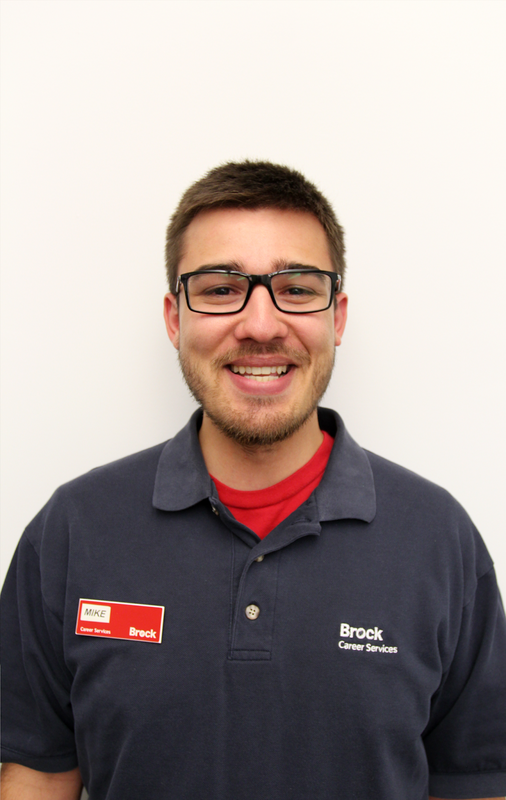 Mike has recently completed his Degree in Political Science, and will be continuing school at Brock as he was recently accepted into the Masters of Political Science program, no surprise there! Mike has been with us for three years and it has been a great pleasure working with him.He is the go-to person if you ever need to know a statistic about the Career World, and we are going to miss him and his extensive knowledge in the Centre. Best of luck to Mike and we are sure he will do great things! Kaitlyn, the Queen of Communication! We don't know what we'll do without her. Her experience, wisdom, and positive attitude is going to be greatly missed within the Career Services department. Kaitlyn has worked with us for two years, and interestingly enough, she was actually transferred to another position within the department when help was needed. She has just completed her final year in the English, Language and Literature program. No surprise here, Kaitlyn will be working in communications with the Canadian Mental Health Association. We are so proud of her and appreciate her being such a great ambassador for Career Services. 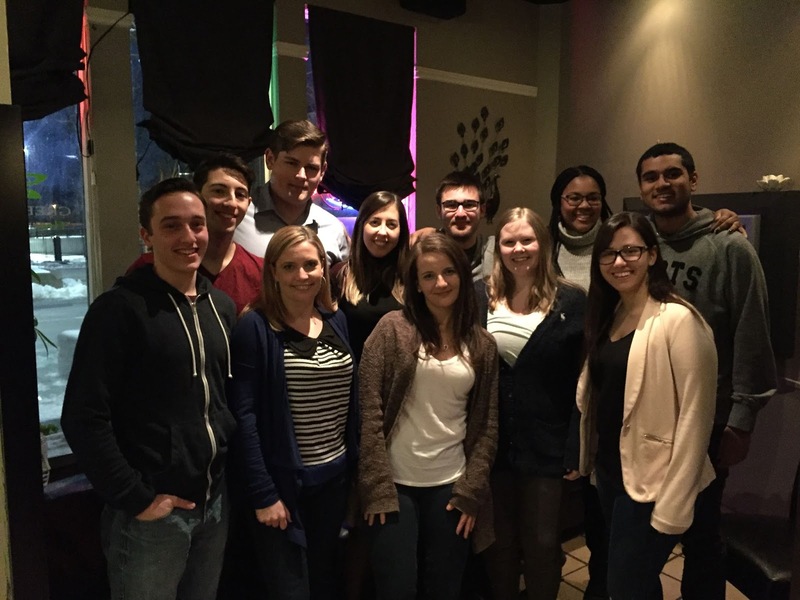 Overall, we are very proud of our Career Services team and all that they have accomplished! Getting to know this group of people on both a personal and professional level has been an absolute pleasure. We are so happy that we've had the opportunity to work with them, and their presence in the Centre will be greatly missed.